When connecting a new USB device to the computer, Windows automatically detects the device and installs an appropriate driver, which means that the user can almost immediately use a connected USB drive or device. In some organizations, the use of USB-devices (flash drives, USB HDDs, SD cards and so on) is blocked for security reasons to prevent security leakage of confidential data and the penetration of viruses into the internal corporate network. This article describes how to use the Group Policy (GPO) to disable external removable USB-drives, them from data writing or running executable files. In Windows, starting from Windows 7 / Vista, you can flexibly manage access to external drives (USB, CD / DVD, floppy, tape etc.) using Group Policies. You can programmatically block the use of USB drives, without affecting such USB devices as a mouse, keyboard, printer, etc. Active Directory schema version — Windows Server 2008 or higher. Note. The set of policies allows to control the installation and use of removable media on Windows appeared only in this AD version (version 44). Desktop OSs – Windows Vista, Windows 7 or higher. Tip. In Windows XP Group Policies you can’t restrict access to external USB devices: to block access to external media, administrators had to use third-party tools, or to prevent certain device drivers (UsbStor, Cdrom, Flpydisk, Sfloppy) from running (using the value 0 of the parameter Start in the registry key HKLM\SYSTEM\CurrentControlSet\Services\). However, since 2014, Windows XP support has ended, and today it is quite rare in corporate networks. Name the policy “Disable USB Access”. After that, edit its settings (Edit). User Configuration -> Policies -> Administrative Templates -> System -> Removable Storage Access. Computer Configuration -> Policies -> Administrative Templates -> System -> Removable Storage Access. In the Removable Storage Access section, there are several policies allowing you to disable the use of different types of storage classes — CD/DVDs, FDD, USB-devices, tapes, etc. CD and DVD: Deny execute access. CD and DVD: Deny read access. CD and DVD: Deny write access. Custom Classes: Deny read access. Custom Classes: Deny write access. Floppy Drives: Deny execute access. Floppy Drives: Deny read access. Floppy Drives: Deny write access. Removable Disks: Deny execute access. Removable Disks: Deny read access. Removable Disks: Deny write access. All Removable Storage classes: Deny all access. All Removable Storage: Allow direct access in remote sessions. Tape Drives: Deny execute access. Tape Drives: Deny read access. Tape Drives: Deny write access. Windows Portable Device – this class includes smartphones, tablets, players, etc. WPD Devices: Deny write access. As you can see, you can deny the launch of executable files for each device class (protect computers against viruses), prohibit reading data and writing / editing files on external media. The “strongest” restrict policy — All Removable Storage Classes: Deny All Access – allows to deny the access to all types of external storage devices. To turn on the policy, open it and check Enable. Tip. The same restriction can be set using the registry by creating DWORD parameter Deny_All with the value 00000001 in the registry key HKEY_CURRENT_USER\Software\Policies\Microsoft\Windows\RemovableStorageDevices. In this policy section, more flexible restriction to use external USB-drives can be configured. For example, to prevent writing data to USB flash drives and other types of USB drives, you should enable the policy Removable Disk: Deny write access. You can deny to run executable and script files stored on USB-drives using Removable Disks: Deny execute access policy. Note. In some cases, after updating policies on the client with the gpupdate /force command, access to removable USB devices is not immediately blocked. To apply USB blocking policies, you must restart the computer, enable the policy “Set time (in seconds) to force reboot” in the same GPO section. The computer will then force reboot. Quite often it is necessary to block USB drives for all users in the domain (except administrators). In the Group Policy Management console, select your Disable USB Access policy. 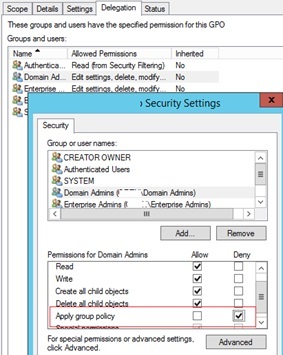 In the Security Filtering section, add the Domain Admins group. 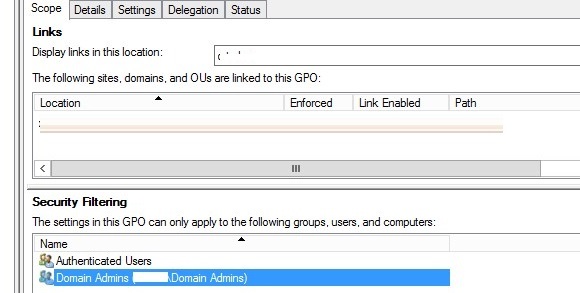 Go to the Delegation tab and click the Advanced in the security settings editor, specify that the Domain Admins group is not allowed to apply this GPO (Apply group policy – Deny). If the task is different: you need to allow USB drives to be used by all but a certain group of users, you need to add your user group in the security settings of the policy with read and apply GPO permissions, and leave only the read permissions for the Authenticated Users or Domain Computers groups (uncheck the Apply group policy option). 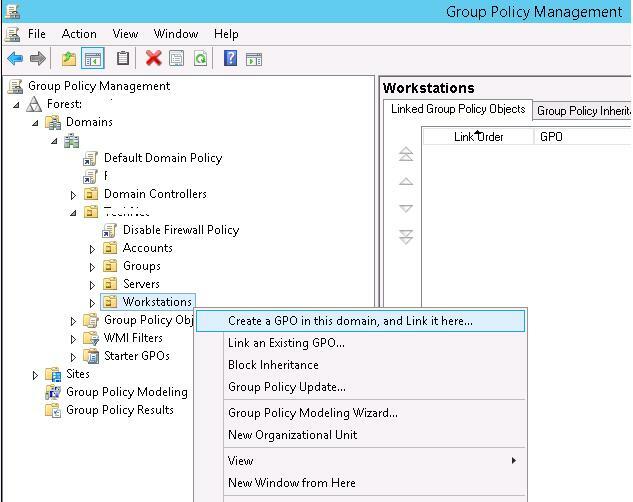 You can more flexibly control access to external devices by configuring the registry settings that are set by the policies discussed above through the Group Policy Preferences (GPP). All the above policies correspond to certain registry keys in the HKLM (or HKCU) \SOFTWARE\Policies\Microsoft\Windows\RemovableStorageDevices (by default this registry key is missing). 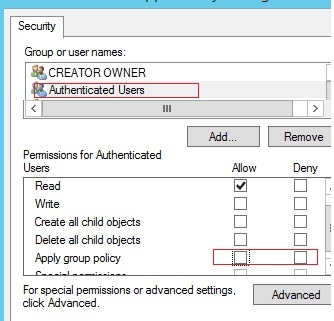 To enable one of these policies, you must create a new subkey in the specified key with the name of the device class you want to block access to (column 2) and REG_DWORD parameter with constraint type (Deny_Read or Deny_Write). If the value of this parameter is equal to 1, the restriction is active, if 0 – the prohibition of using this class of devices doesn’t work. Thus, with the help of these registry keys and the ability to target GPP policies with Item-level targeting, you can flexibly apply policies that restrict the use of external storage devices to certain AD security groups, sites, OS versions, OUs and other computer characteristics (you can use even WMI queries). In this way, you can make sure that USB block policies are applied only to computers (users) that are included (or not included) to a certain AD group. Note. Similarly, you can create your own policies for device classes that are not listed in this list. You can find the device class ID in the driver properties in the value of the Device Class GUID attribute. Have you test it on Windows 10? I have tested it on Windows 10 Pro, but it is not work. The policy is applied but the USB is not denied. AD is Windows Server 2008 r2 and Windows 10 admx is installed. I have not tested this policy on clients Windovs 10. Can you check that the policy is working correctly on older clients (Win 7, 8.1)? I configured the GPO but it is not working on Win7. DC is 2008 R2. The policy is applied but the USB is not denied. Avez-vous pensé à désinstaller le périphérique USB au préalable ? Can you teach how to limit to which user log-in to disable USB mass storage drive? Do you have local admin permissions on your workstation? Hi, I applied this policy to the entire domain and added the administrators group as a deny as instructed above. When I go to test the usb as an administrator I can not access the usb. Do you linked the “Disable USB Access” policy to an OU with computers or users? Which GPP section is configured? We’re using ThreatLocker in our company. 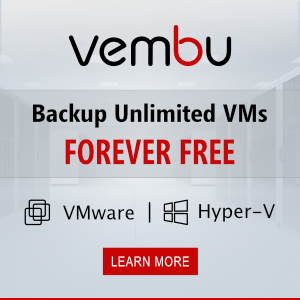 It’s easy to manage and allows creating organization, groups and computer policies for blocking USB devices, DVD/BD, etc. It also helps with permitting or denying path access to our fileservers and application whitelisting.